If studying abroad is your dream then chase that dream with the help of Winny. Meet our experts for career counselling and quick assessment of your interest and future career plans. 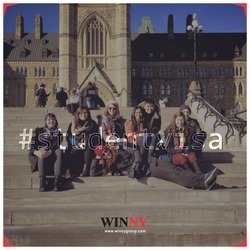 We offer student visa services for Canada, USA, UK, New Zealand, Australia, Germany, Denmark, Ireland, Singapore and Dubai. We apply to the institution on behalf of you and bring you offer letter. We assist you with all the paperwork and support entire student visa process. We provide you glimpses of your life abroad by a pre-departure seminar that helps you later to settle in the new country. For further information, visit our office Winny Immigration and Education Services Pvt. Ltd in Ahmedabad or call us on our toll free number 1800-419-3242.